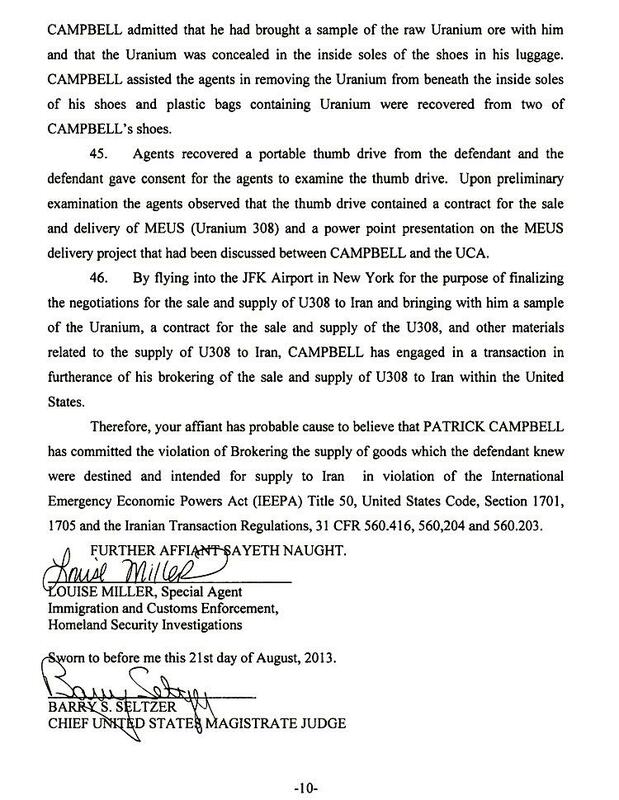 AUGUST 22--A foreigner who agreed to sell undercover Homeland Security agents 1000 tons of yellowcake uranium for shipment to Iran was arrested yesterday when he flew into the United States with uranium samples hidden inside the soles of shoes in his luggage, The Smoking Gun has learned. 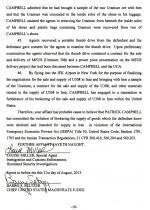 A 15-month sting operation concluded Wednesday afternoon with the arrest of Patrick Campbell inside a terminal at John F. Kennedy International Airport. Campbell, 33, traveled to New York from Paris on an Air France flight. 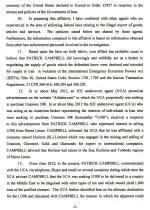 It is unclear where Campbell is being held, or when he will make an appearance in U.S. District Court in Brooklyn. 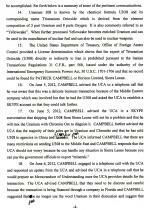 In communications with an undercover agent, Campbell said he was affiliated with a Sierra Leone firm that mined and exported uranium, chromite, gold, and diamonds from the western Africa nation. 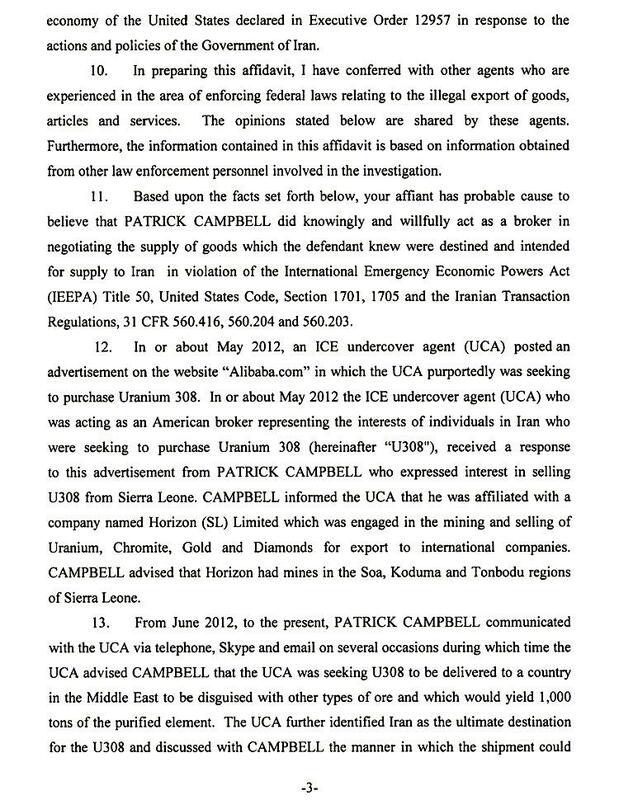 Campbell was arrested for knowingly brokering material that was destined for Iran in violation of the Emergency Economic Powers Act and the Iranian Transaction Regulations, according to a felony complaint filed today. 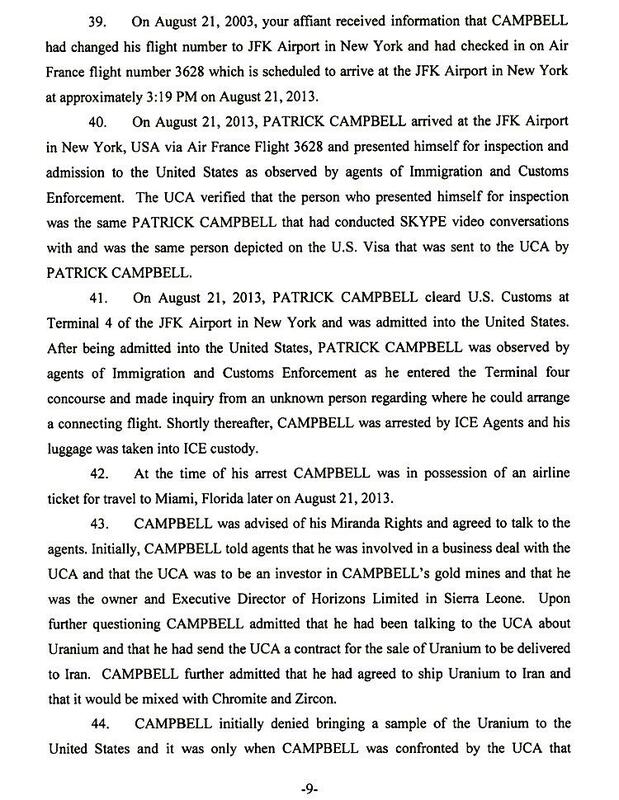 When taken into custody, Campbell had a connecting ticket to Miami, where he had arranged to meet with an undercover agent. The federal probe began in May 2012, when an investigator posted an advertisement on the web site alibaba.com seeking the purchase of yellowcake uranium (which is also known as Uranium 3O8). Alibaba.com is a China-based site that helps small businesses worldwide arrange cross-border transactions. 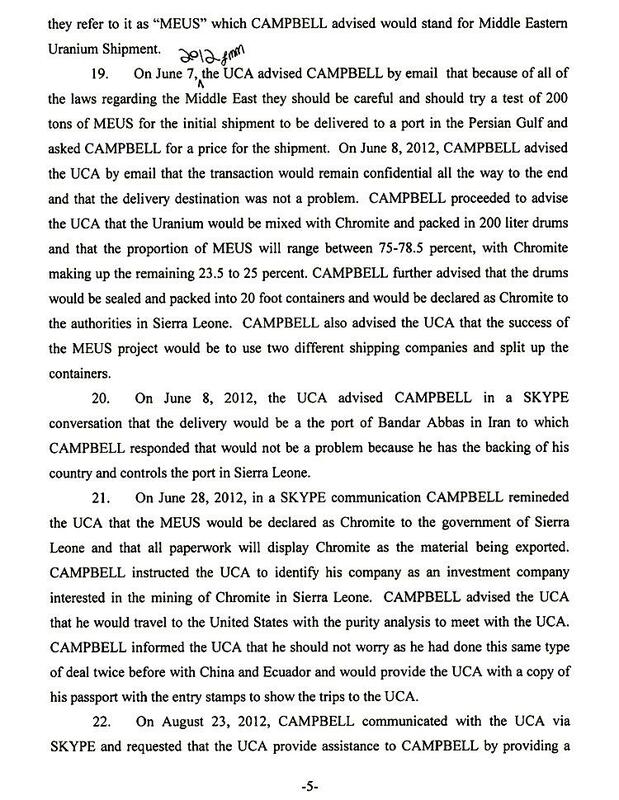 As detailed in the criminal complaint, when yellowcake uranium (seen above) is further processed, it “becomes enriched Uranium and can be used in the manufacture of nuclear fuel and can also be used in nuclear weapons.” As such, U.S. laws bar the supply of such material to Iran, whose leaders have spoke frequently about their nuclear ambitions. 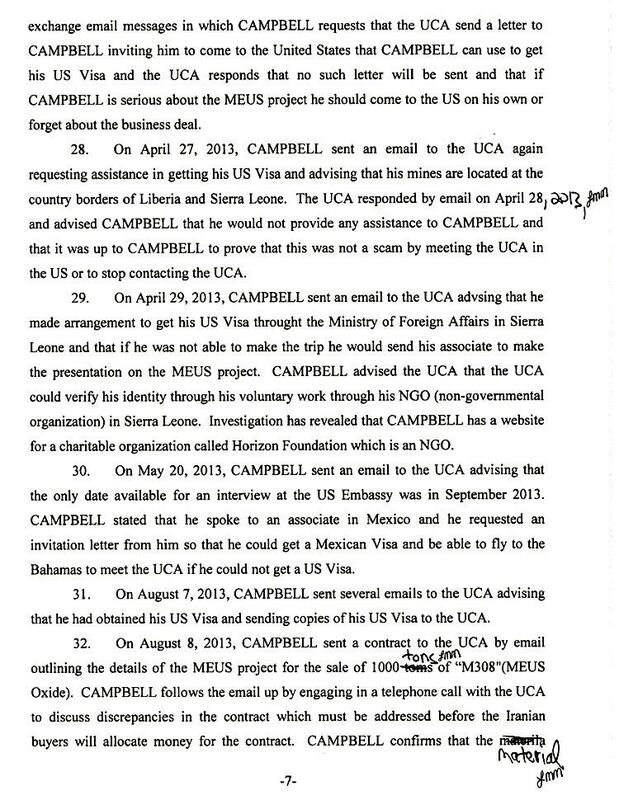 In response to the online ad, Campbell contacted the undercover agent and “expressed interest in selling U3O8 from Sierra Leone.” The agent represented himself as “an American broker representing the interests of individuals in Iran” seeking to purchase yellowcake uranium. 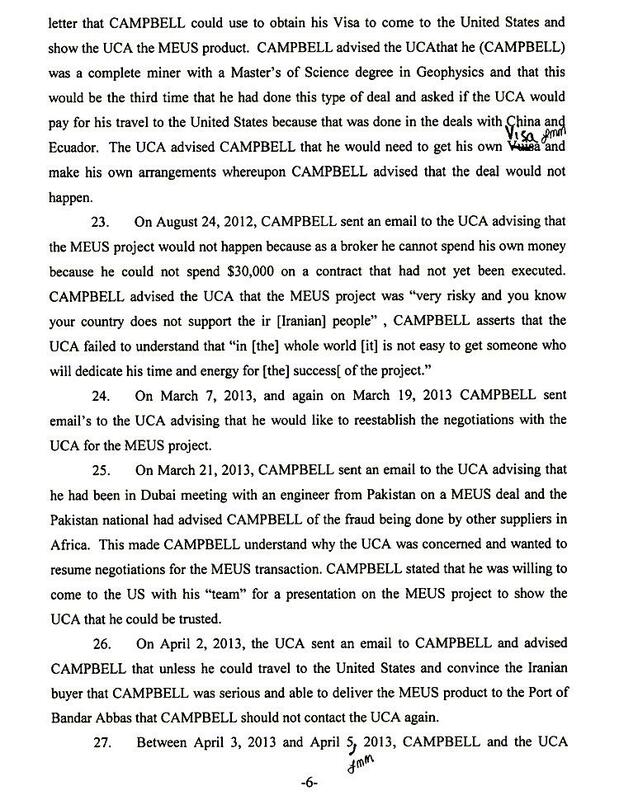 In a series of e-mails, telephone calls, and Skype chats over the ensuing months, Campbell and the undercover agent discussed the uranium deal. 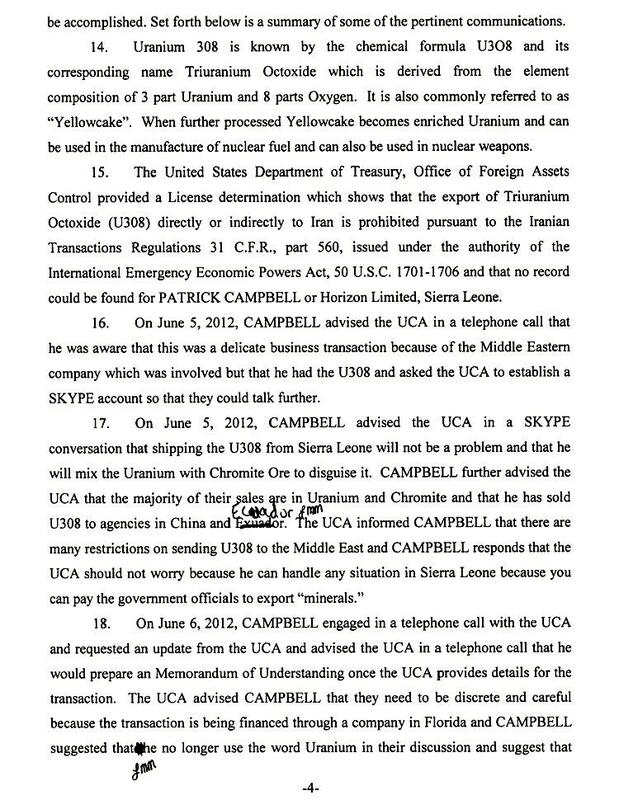 While noting that it was a “delicate business transaction” since the material was destined for Iran, Campbell assured the agent that the shipment from Sierra Leone “will not be a problem and that he will mix the Uranium with Chromite Ore to disguise it.” He added that his firm had previously sold yellowcake to China and Ecuador. 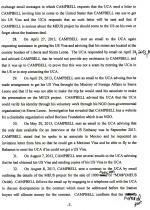 The proposed transaction, which dragged on for more than a year, picked up speed earlier this month when Campbell secured a visa to travel to the U.S.. 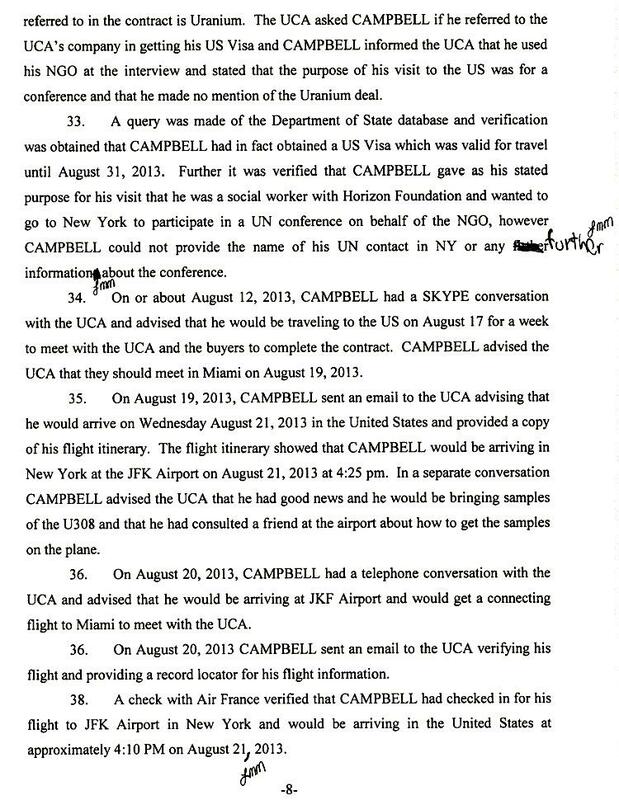 According to a Department of State database, Campbell claimed that he was a social worker traveling to New York to participate in a United Nations conference. 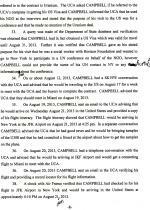 Campbell arrived in New York late yesterday afternoon. After clearing customs, he entered the U.S. and sought information on his subsequent flight to Miami. He was later arrested by federal agents, who seized his luggage. 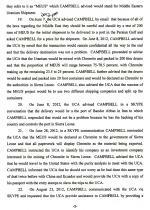 During subsequent questioning, Campbell acknowledged that he had “agreed to ship uranium to Iran and that it would be mixed with Chromite” and another mineral. 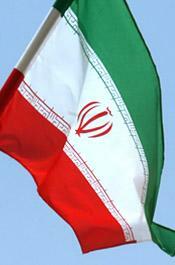 He denied, however, smuggling a sample of the uranium into the U.S..